We’ll be tuning into Ireland’s Search and Rescue on RTE 1 this Sunday at 6.30pm to see a few familiar faces. Following on from the success of the two Irish Coast Guard helicopter rescue series, Rescue 115 and Rescue 117, Ireland’s Search and Rescue is a six part series, presented by Claire Byrne. This new series features the Irish Coast Guard helicopter bases in Dublin, Waterford, Shannon and Sligo as well as RNLI stations and Mountain Rescue teams nationwide. The series also shows the work of Cork City Fire Brigade and volunteer Coast Guard groups. 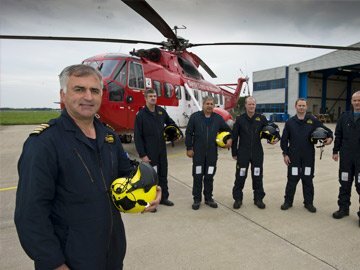 See http://www.rte.ie/tv/programmes/searchandrescue.html for further information. We wish all involved the best of luck with the new series.